Covers all state-funded mainstream schools, academies, free schools, city technology colleges (CTCs), state-funded special schools and FE sector colleges. 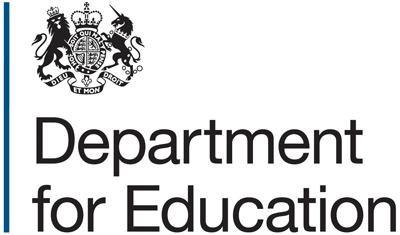 Excludes pupil referral units (PRUs), alternative provision (AP), hospital schools, non-maintained special schools, other government department funded colleges, independent schools, independent special schools and independent schools approved to take pupils with special educational needs (SEN). Covers students aged 16, 17 or 18 at the start of the academic year, ie 31 August. In 2016, the recommendations from Professor Alison Wolf’s Review of Vocational Education will take effect for the first time in 16-18 performance tables and also in the calculation of the data underpinning this SFR. This means that the measures only include vocational qualifications that are on the approved list of applied general or tech level qualifications. Applied general qualifications: level 3 (advanced) qualifications that provide broad study of a vocational subject area e.g. a level 3 certificate/diploma in business or applied science. Tech level qualifications: level 3 qualifications for students wishing to specialise in a technical occupation or occupational group e.g. a level 3 diploma in construction or bricklaying. A new point score system will be used in both the 2016 performance tables and this dataset. The old system used a scale of 150-300 for A levels, where a grade A* was given 300 points and a grade E was equal to 150 points. The new system uses a simpler scale of 10-60 points for A levels, where a grade A* is given 60 points and a grade E is given 10 points. The new system reduces the size of the gap between a fail grade (0 points) and the lowest pass grade, which was previously much greater than the gap between other grades. This means that, considered in isolation of other changes to the data, fail grades will not have as large a negative impact on average point scores. When reporting average attainment for students that study A level, academic, applied general or tech level qualifications, only students who have entered for qualifications at least a certain size are included. This ensures that the students included are broadly comparable. Previously, students were only included if they had entered for at least one qualification the size of an A level in the reporting year. This meant that any students who had only entered for qualifications the size of half an A level e.g. an AS level, were not reported. This year, in line with changes to performance tables, the threshold for inclusion to the size of half an A level has been lowered. This means that now students who are at the end of 16-18 study and have studied for only an AS level (or similar sized vocational qualification) are included. The dataset reports additional average attainment measures for A level students, for example the average grade in a student’s best 3 A levels and the proportion of students achieving AAB (in at least two facilitating subjects). These apply to a different subset of A level students. The AAB measure has changed since last year, and now only includes students that are on A level-only programmes. Students must have entered at least one A level (not including applied A levels or AS levels), and not studied other substantial academic, applied or technical qualifications. Covers results achieved during all years of 16-18 study (up to three years, ie the 2013/14, 2014/15 or 2015/16 academic years). All level 3 students: Covers students at the end of advanced level study who were entered for at least one academic qualification equal in size to at least half (0.5) an A level or an extended project (size 0.3), or applied general or tech level qualification during their 16-18 study. A level students: Covers students at the end of advanced level study who were entered for at least one A/AS level, applied single A/AS level, applied double A/AS level or combined A/AS level during 16-18 study. Students entered for A level only: Covers students at the end of advanced level study who were entered for at least one A level, applied single A level, applied double A level or combined A/AS level during 16-18 study, excluding critical thinking and general studies. This only includes A level students who have entered less than a total of size 1 in other academic, applied general and tech level qualifications. Attainment measures are based on students that are on A level-only programmes. Students must have entered at least one A level (not including applied A levels or AS levels), and not studied other substantial academic, applied or technical qualifications. The AAB in facilitating subjects denominator excludes those students who have entered only applied A levels or applied AS levels. A level facilitating subjects are: biology, chemistry, physics, mathematics, further mathematics, geography, history, English literature, modern and classical languages. Covers students at the end of advanced level study who were entered for at least one substantial advanced level academic or vocational qualification in the academic year: substantial advanced level academic or vocational qualifications are defined as qualifications that are at least the size of an A level (180 guided learning hours per year), such as a BTEC subsidiary diploma. If a vocational or academic qualification is similar in size to 2 A levels it will be counted as 2 substantial level 3 qualifications. Note: where qualifications taken by a student are in the same subject area and similar in content ‘discounting’ rules have been applied to avoid double counting qualifications. Covers students at the end of advanced level study who were entered for at least one A level, applied single award A level or applied double award A level in the academic year. An applied double award A level at grade A*A* counts as two grade A*s, AA counts as two grade As and an award at grade AB counts as one grade A. Facilitating A level subjects: biology, chemistry, physics, mathematics, further mathematics, geography, history, English literature, modern and classical languages.